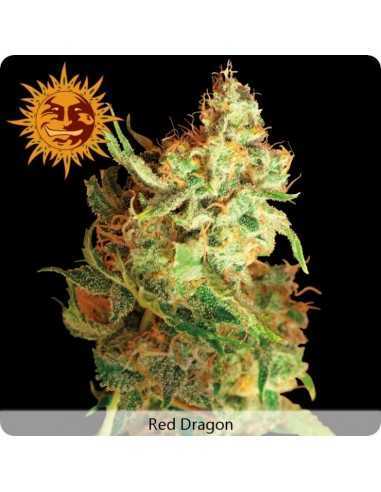 Red Dragon is an excellent genetic hybrid which combines the best qualities of both Sativa and Indica. What the breeders of Barney’s Farm did was to combine a West Himalayan Kush with Utopia Haze, a Brazilian Sativa. Not only can we experience the exotic Sativa high but also a prolonged effect of physical solid stone. When the Barney's Farm feminized Red Dragon attacks, it tends to leave behind a long-lasting sensation. Both amateurs and connoisseurs can enjoy this good quality marijuana with 23% THC and 1,2% CBD. 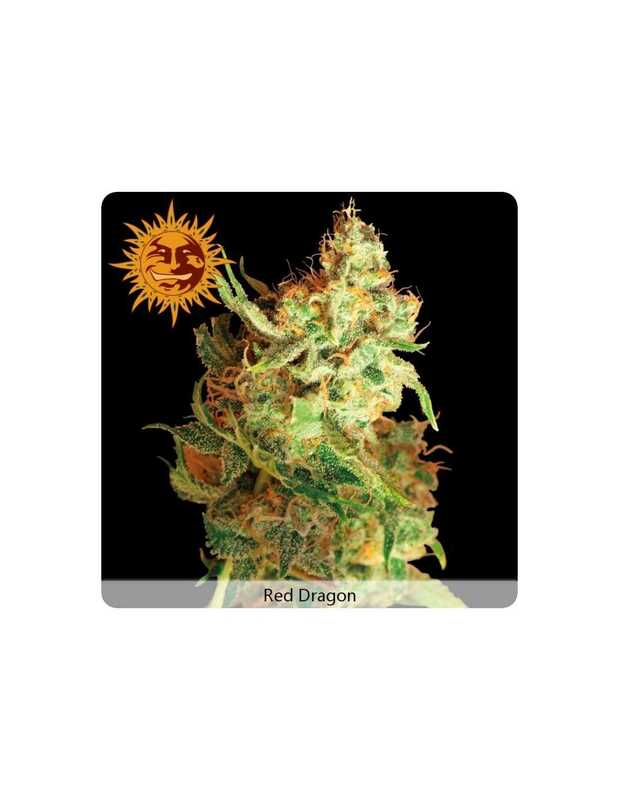 Furthermore, the Red Dragon strain is appreciated for being extremely easy to cultivate and maintain. It’s actually just a doddle. The plant grows fast and no higher than 70 cm, so it is perfect for both outdoors and indoors cultivation. The flowering time is 9 weeks maximum and after that time we may enjoy a good yield of 500gr/m² indoor. A mature Red Dragon specimen has nice heavy colas with red and green buds which seem to have sweet guava fruit taste.